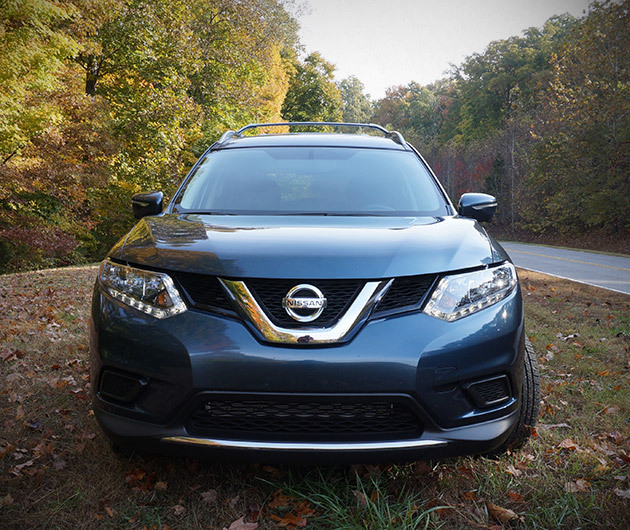 Reputation aside, the cool, devilish name alone means the 2014 Nissan Rogue has a lot to live up to. It sure doesn’t disappoint. 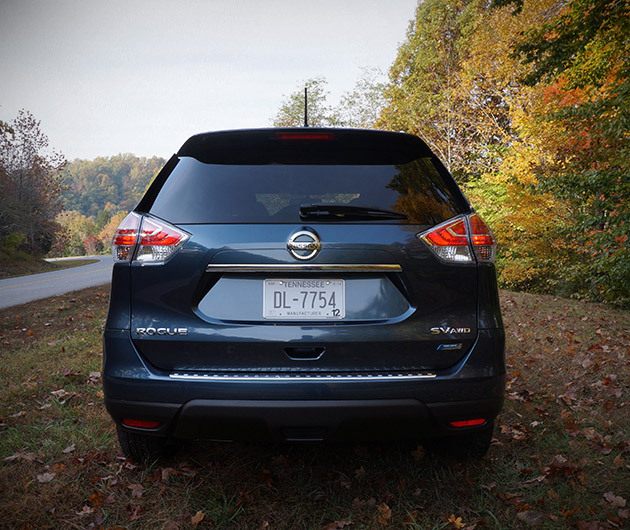 The compact crossover has been redesigned and relocated from Japan to its new construction site in the U.S. It boasts some glorious gadgets and interior features, but first let’s start with the outer. Riding on 17-inch wheels as standard, there’s a choice of front- or all-wheel drive. The shell has been beautifully sculptured, adopting an athletic, muscular pose. Aggressive curves and flared wheel arches enrich the sporty stance while the front façade has been designed with a menacing scowl. LED headlights are optional but standard are the funky wraparound taillamps. A fine DOHC four-cylinder 2.5-liter engine offers great grunt, with a torque of 175 lb-ft and an hp of 170. 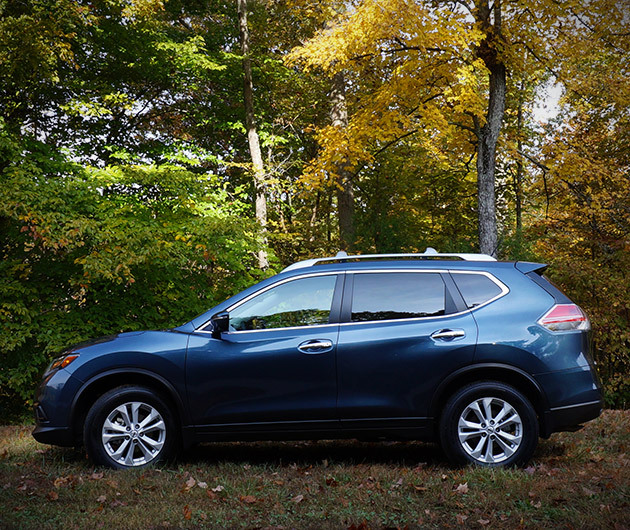 The Rogue is capable of delivering a more than admirable 33mpg out on the highway and in fact efficiency has improved by 15% over the previous model. 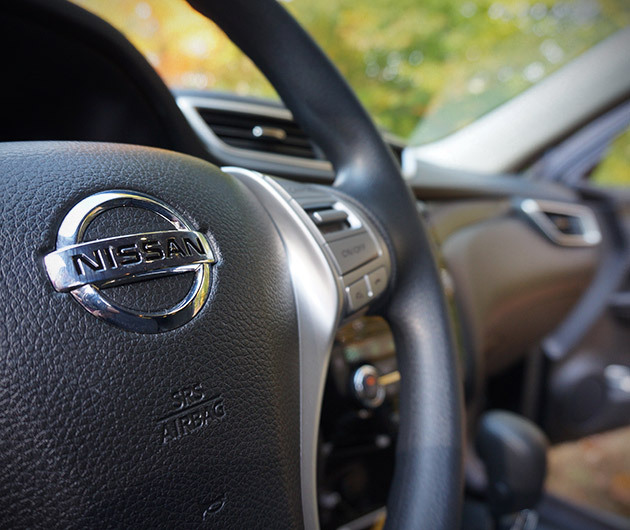 So let’s climb inside where Nissan are keen to stress it’s all about “premium.” There’s certainly a feel of added luxury and comfort with an abundance of soft-touch materials across the doors and armrests. Even the aluminum-look plastic trim looks like, well, the real thing. The front seats are NASA-developed, designed to reduce fatigue, though, paradoxically, they’re almost comfortable enough to fall asleep in. Dials are exquisitely designed, as is the standard five-inch infotainment display. 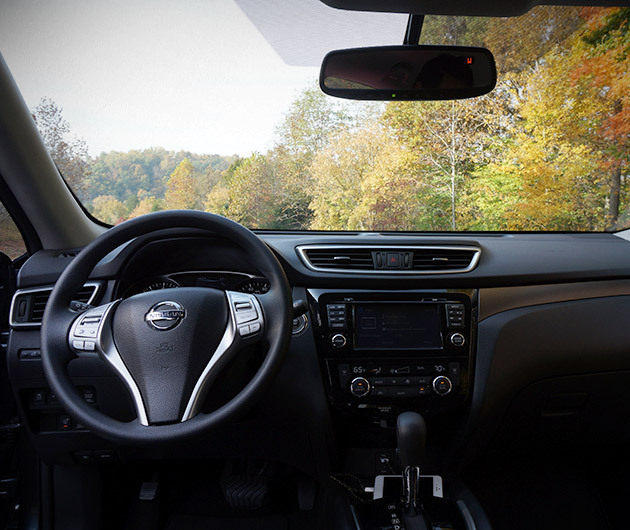 A navigational system is optional and comes with a seven-inch unit. 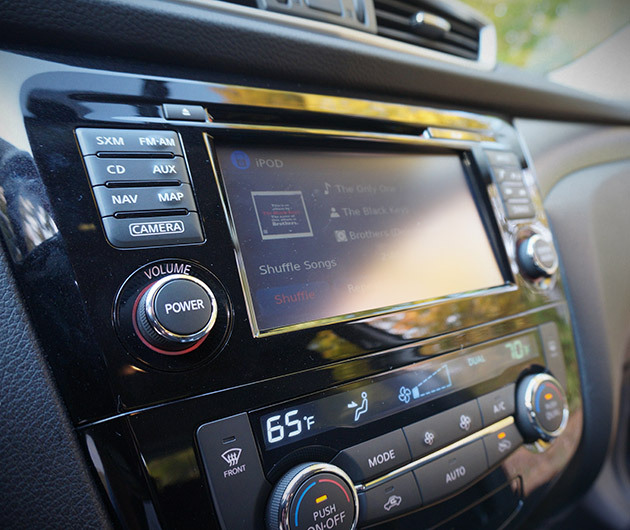 We were highly impressed with the Nissan smartphone app, Pandora-connectivity and voice texting. Also as standard is the intelligent key with push button start. The Rogue fits seven at a push. The EZ Flex seating system is impressive. Opt for two rows of seats or three, though be warned, the three doesn’t leave much room for comfort for adults if you’re planning a long road trip. 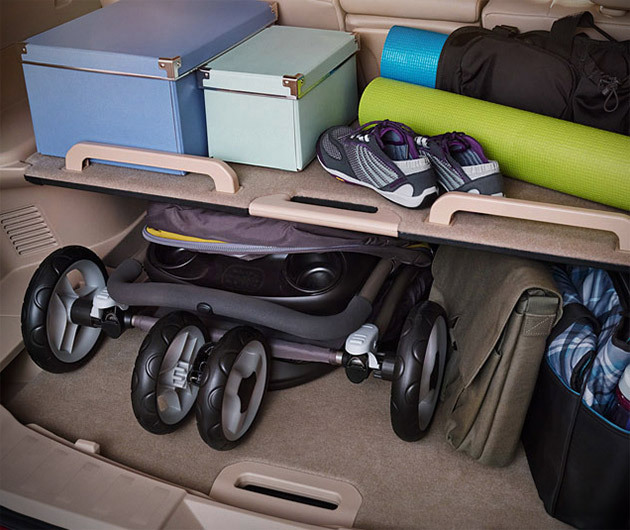 The 40/20/40 split folding seat system works well and frees up plenty of extra space for storage of longer or bulkier goods such as skis or ladders. There’s the possibility of up to seventy cubic feet of storage space. We love the Divide ‘n Hide storage system round back which sports 18 configuration possibilities to enable you to, say, separate your muddy boots from clean change of clothes or secretly stash your valuables. Standard safety features include tire pressure monitoring, six airbags, traction control and electric brake distribution. There are further useful options such as blind spot and forward collision warnings along with parking assistance and an all-around-view monitor. The electric steering is very responsive, further adding to its sportiness, and the suspension is pretty well tuned. There are, of course, grander, more powerful and more expensive compact crossovers out there. 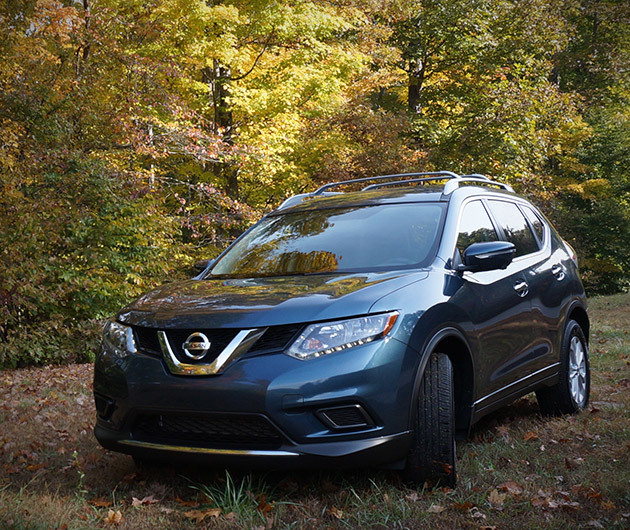 But with a starting price of only $22,490, the Rogue doesn’t just offer plenty of bang for your buck, it exceeds expectations and leaves them choking in a fog of dust.